Next-generation sequencing (NGS) is justly credited with improvements such as cost reductions and throughput increases. NGS, however, will need other kinds of improvements if it is to expand its presence in clinical applications. Historically, NGS technology has been used to investigate specific mutations in select sets of genes or genetic regions that have known or suspected associations with a particular disease or phenotype. For example, targeted gene sequencing panels have helped clinical scientists establish diagnoses, guide treatments, and produce disease risk assessments for individuals and families. More recently, NGS technology has been used to conduct comprehensive surveys of genetic material. Besides employing targeted sequencing panels, clinical scientists may use whole-exome sequencing (WES) and whole-genome sequencing (WGS). Gene sequencing panels have very good coverage for select genes of interest, including both exonic regions and intronic regions. In contrast, WES and WGS are large-scale approaches. For example, WES can look at the entire exome, covering all coding regions of the genome. WES, however, can detect neither mutations in intronic regions nor global translocations, breakages, insertions, or inversions in genes. WES is limited to detecting single nucleotide variants or copy number variants in the regions it covers. As the costs of WES and WGS methods approach those of the currently cheaper NGS panels, new challenges will confront clinical scientists. How will they interpret the colossal amounts of data that will be generated? What should they do if they identify genetic variants of currently unknown significance? How will they establish the clinical utility of NGS applications and resolve reimbursement issues? And how will they contribute to and comply with new regulations? Answers to these and other questions will require NGS improvements, chiefly with respect to data—its generation, validation, and interpretation. NGS in the clinical context will also have to address issues such as data sharing and data security. Identification of mutations beyond targeted genes may improve our understanding the etiology of cancer. By using large-scale sequencing of germline DNA in addition to somatic or tumor DNA, Dr. Ghazani explains, clinical scientists may not only improve assessments of familial risks, but also increase the number of identifiable therapeutic targets. Identifying new actionable mutations using large-scale NGS data improves the clinical utility of the technology. The consequence is that large-scale NGS technology at the clinic laboratory level may become more reimbursable. WGS does not have the inherent limitations of WES. As a result, WGS can potentially detect all types of genomic alterations in one test with high clinical utility compared to additive tests that investigate each type of alteration separately. “Currently, the major limitation of WGS is cost, followed by the clinical interpretation of alterations in noncoding genomic regions,” Dr. Ghazani notes. However, doing the more informative WGS in place of a spectrum of other tests—cytogenetic evaluations, polymerase chain reaction (PCR)-based tests, fluorescence in situ hybridization (FISH) assays, and tests incorporating smaller gene panels—may be cheaper. Covaris, a company focused on sample preparation and workflow systems, asserts that it is a leader in DNA fragmentation. To support this assertion, Covaris points to its Adaptive Focused Acoustics™ (AFA) technology, which enables an array of noncontact, isothermal processes to be developed for use in applications from genomics to drug discovery. AFA, the company says, has long been considered the gold standard for shearing DNA in chromatin immunoprecipitation (ChIP) assays. These workflow improvements dramatically reduce turnaround time and should allow the library to be prepared and enrichment and put on the sequencer in one day. Clinical samples, especially for oncology, typically are formalin-fixed, paraffin-embedded (FFPE) tissues. It can be difficult to extract DNA and RNA from these samples. Dr. Khoja says that Covaris’ AFA technology removes paraffin and extracts DNA from these samples much more efficiently than organic solvents in passive, diffusion-based methods. Gail Javitt, J.D., member of the firm, Health Care and Life Sciences, Epstein Becker Green, is well versed in the regulatory issues raised by the clinical use of NGS. For example, she is familiar with how the accumulation of raw data from WES and WGS is leading regulators to consider a key question: How should all the data be used? Dr. Javitt says that although the oversight of the “wet lab” aspect of NGS testing is fairly clear, and although sequencing is generally agreed to be well validated and consistent across laboratories, the interpretive, bioinformatics or “dry lab” aspect of NGS testing remains unclear. Clinical laboratories analyzing specimens for patient care must be CLIA certified. If the bioinformatics analysis is conducted within the context of a clinical laboratory, it, too, is subject to CLIA. However, questions arise if the specimen analysis and bioinformatics activities are bifurcated, as when one laboratory generates the sequence and a third party interprets the sequence data what it means. CLIA has not asserted jurisdiction over the bioinformatics pipeline piece. “I think that based on the way clinical laboratories are defined in the statute, it would be hard for [CLIA] to assert jurisdiction because there is no specimen involved in the activity,” Dr. Javitt suggests. She observes that although the FDA has issued guidance documents on best practices for the bioinformatics part of NGS, the agency has not issued guidance documents specifying requirements for entities that solely analyze gene sequence data. Another thorny question is how much data from how many patients might be needed to clinically validate an association between a gene variant and a disease or risk of disease. As this question implicates the practice of medicine, it eludes a simple regulatory answer. Several potential answers are possible, Dr. Javitt speculates. For example, the FDA could take the position that bioinformatics software is conducted by labs not actually handing tissue specimens, a form of clinical decision support that is subject to regulations as a medical device. Based on this position, the FDA could require premarket review of bioinformatics software. Alternatively, the FDA could require precertification of entities developing and using this software. The increased use of NGS in research has also led to questions about whether research participants should have a right to access their laboratory test data. 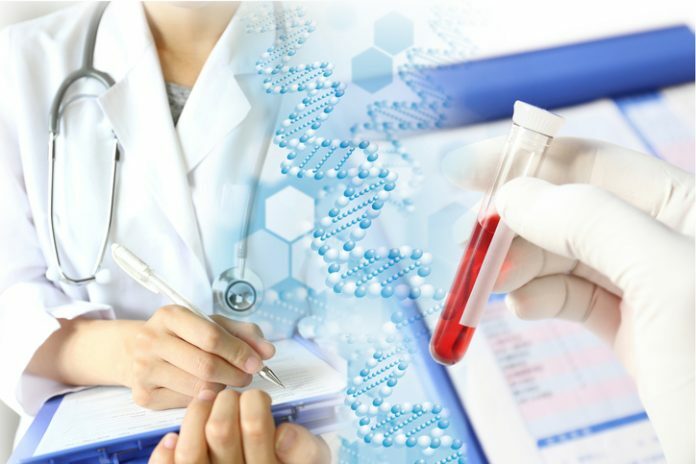 There is an open legal question about whether the right of access by patients under the Health Insurance Portability and Accountability Act to obtain their lab test results would extend to research data generated outside the clinical context, for example, in a research study rather than for patient care. In all instances, individuals need to be informed about the risks and benefits and uncertainties of the data and its interpretation.